Invite guests to your "House of Cards" with this unique pub sign. 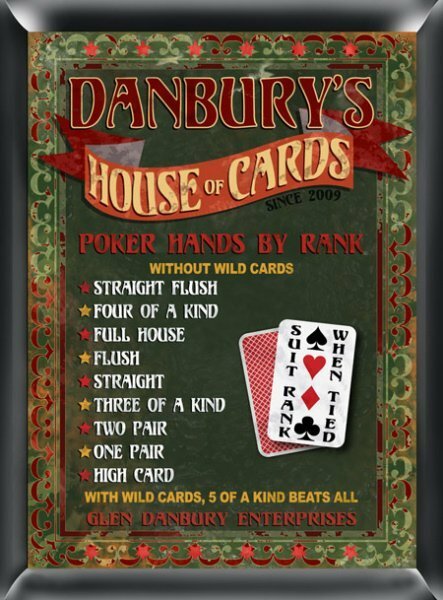 Perfect for the den or game room, this sign ranks winning poker hands in order so you know who the real champion is! Poker players can refer to the sign as their guide because it even provides the proper ranking of the suits in case of a tie. 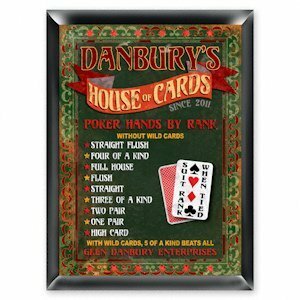 Personalize the sign with first and last name and year this house of cards pub was established.